What is a Kentucky Last Will and Testament? 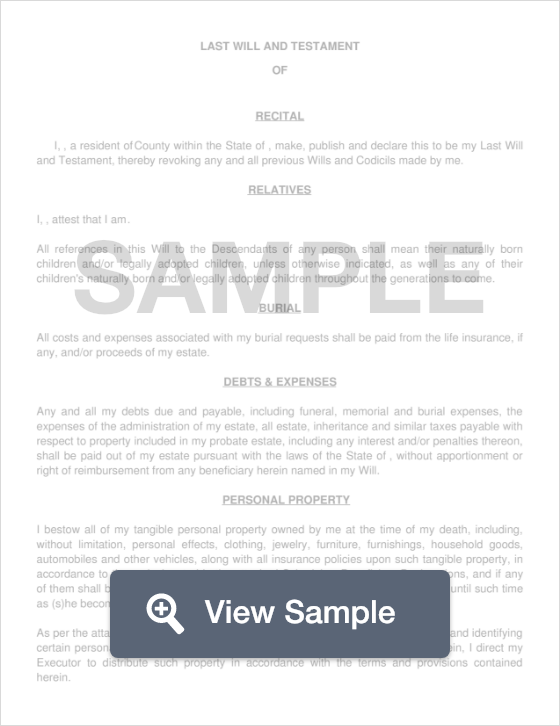 Kentucky Last Will and Testament: What Is It? In the state of Kentucky, a Last Will and Testament is an important part of estate planning that helps a person (known as a Testator) to legally pass their assets down to their beneficiaries and protect their beneficiaries from others taking what they are supposed to inherit. In the state of Kentucky, this document must be witnessed by two different, competent individuals, as well as notarized by a Notary Public. Witnesses - According to §394.040, the Will must be signed by two (2) witnesses who are both in the presence of the Testator when he or she signs. Setting up a trust for those who require special care, such as those who deal with mental illness or a physical disbability can prevent any eligibilities issues with them receiving Supplemental Security Income or Medicaid benefits. This includes the portion and the age children will be when benefits start and stop. Remember to have your Witnesses sign your Will, attesting that they’ve seen you draft this document are of sound mind. Additionally, be sure to have your Will notarized by a Notary Public.